While some prefer to call our manufacturing process “daft fumbling” or “early-onset senility,” we pride ourselves on our good old time-tested ingenuity. And with that said, TNN (the T-shirt News Network) has released its third video installment documenting our company: “The Making of ‘odd guy art’ Part 3: The Sewing and Dyeing.” We couldn’t be more thrilled. (To see previous installments, visit “odd guy art videos” ). 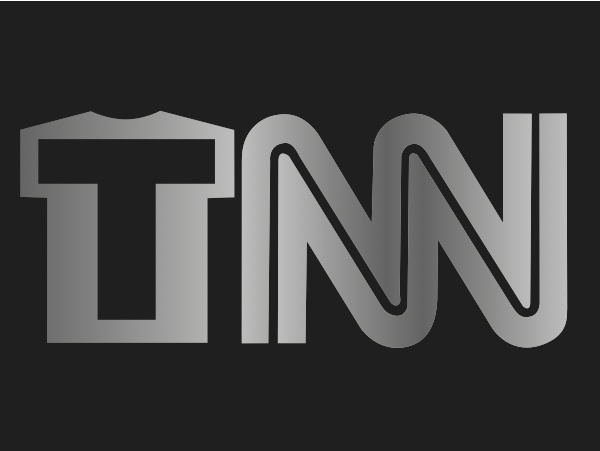 TNN (the T-shirt News Network) approached us last month, asking if we’d like to be the focus of a multi-segment documentary depicting “aging entrepreneurs” breaking into the business world. While we were mildly incensed by the “aging” remark (we are admittedly robust), we agreed. So we jacked up our orthopedic socks, tossed back a few prunes, and set out to tell our story. The filming took place over several weeks. It felt awkward at first; telling our account in such great detail, camera crew in tow, while Chicago-based TNN commentator Guy Johnson grilled us about everything from “How do you make your shirts?” to “Boxers or briefs?” But we soon found our stride, and made it through the grueling interview process with a great sense of satisfaction and very few spit-takes. I never thought to ask if we were being filmed in HD. I’m hoping not, because we both refused the pancake make-up they offered (even though they were strangely persistent on that point), preferring instead to present ourselves as we are. * We hope you appreciate our forthrightness. TNN will broadcast the first segment (“The Making of ‘odd guy art’ Part 1: The Beginning”) later this week, and it will be subsequently available on a variety of social media, including Facebook, Twitter, and YouTube. We’ll announce the air date as soon as we iron out a minor legal dispute (there was a miscommunication with TNN over who’d cover our contractual Diet Coke expenses), and then we’ll share our story with the world. *I later learned that Graham asked production to airbrush away his neck waddle.